This article was first published on ABAJournal.com in the ABA Journal’s Your Voice section. 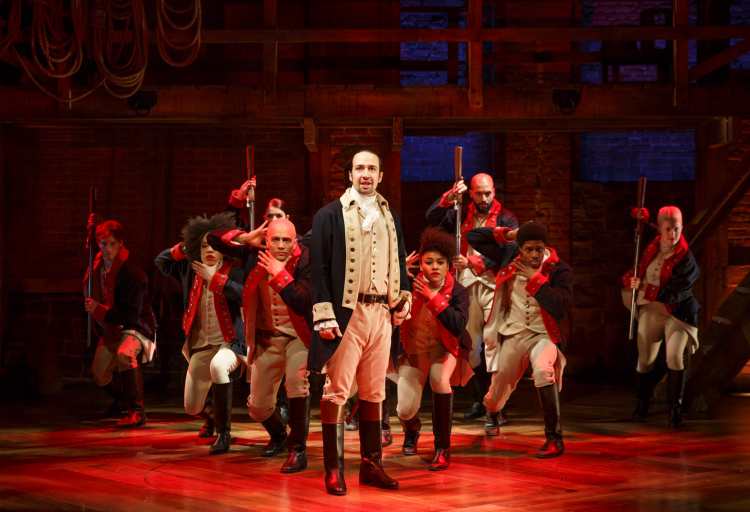 Lin-Manuel Miranda performs with the cast of “Hamilton.” Photo by Joan Marcus. Ever get a song stuck in your head? Have you ever felt inspired by exceptional composition, powerful lyrics or the virtuosity of a vocalist or musician? Personally, I check all three boxes when it comes to the soundtrack from the smash hit Hamilton. Rarely a day goes by without some lyrics popping into my mind, offering micro surges of endorphin-laced wisdom that inspires me to be my best. In its own way, the Hamilton soundtrack has become a silent companion, a constant reminder that subtly guides my thoughts and actions. But there’s more to my Hamilton relationship: Because I see the world through a business development lens, I interpret some of the lyrics in ways that apply as much to lawyers seeking to build a practice as they do to the Founding Fathers looking to build a new nation. The following are some of the legal business lessons I’ve discovered embedded within this musical masterpiece. 1) Do we create these windows? 2) Do we notice them when they show up? 3) How do we respond when they appear? Proactive rainmakers seek, develop and jump through their windows. They also recognize these opportunities are fleeting and understand they must act swiftly and effectively before the windows close. What is the state of your firm? Where on the spectrum do you sit? 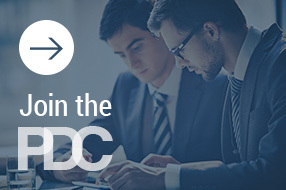 Is your firm a disjointed gathering place for lawyers and practices, lacking cultural cohesion, and thus, missing out on revenue that comes from being tightly connected? Or do you operate as a highly integrated alliance, a collaborative confederation of teams and individuals that capitalize on your firm’s potential? This is a big issue—and a bigger opportunity—in most firms. Giving up when business development efforts don’t yield short-term results is easy. Living through the pain of rejection; persevering over the long haul; investing time, effort and money to build a strong foundation; selflessly supporting team efforts; and developing deep, authentic, unbreakable relationships that turn clients into raving fans is much, much harder. In this section, Hamilton has accepted a new role, taking on important responsibilities for General Washington, thus propelling Hamilton to become a highly valued member of the team. Similarly, this approach can be used by lawyers seeking to move up in their firms. Lightening the load for highly influential firm lawyers can result in greater visibility, valuable experience and a faster path toward moving up the organizational ladder—plus, it also gets you “in the room where it happens” (see below). Your lawyers must realize they are the masters of their own destiny. They can’t wait for the firm, or some other rainmaker, to make magic happen. They must be self-aware, make decisions, identify their obstacles, build a plan to remove those obstacles and move unwavering toward achieving their desired goals. This reminds me that every lawyer’s practice is a canvas upon which he or she makes a unique mark. You wouldn’t know it when looking at most lawyers’ bios. Rather than expressing their uniqueness, they are more likely bland, cookie-cutter descriptions that barely distinguish lawyers in similar practices from one another. This is because most lawyers don’t tell good stories about themselves—their background, capabilities, interests or the experience clients have working with them. While they often believe a more comprehensive bio would be perceived as bragging, the net effect is a missed opportunity to give clients enough information to learn why they should be hired. Challenge your lawyers to be more courageous, to fully express who they are and to allow their originality to shine through. I love this one! We’re all filled with perceptions, some of which are right-on and others that get in our way. We may have internal stories that don’t allow us to see the world clearly, and thus, impede our ability to grow our practices: e.g., “All the good clients are taken,” “I don’t trust any of my partners to work on my client’s matters” and “I’m not comfortable at networking events so I won’t go.” Effective leaders must learn how their lawyers view business development, help them eliminate mindsets that get in their way and show them new approaches that can bring out their best. Doing the right things and developing a great book of business can change everything. Top rainmakers gain greater visibility, make more money, wield more internal clout and attract more interesting matters. Just do it (right). I don’t know why, but this line always gives me goosebumps. Maybe it’s because it speaks to unlimited possibility, the power to craft a new future and the reality that life is a Petri dish in which new cultures can be grown. Whether someone is building their own practice or running the entire firm, it is all a grand experiment filled with hope and opportunity. In law firms, our immigrants are laterals who bring fresh ideas, new energy and important connections. Properly nurtured, they can enrich and invigorate cultures, share novel perspectives and add significant new revenue. This represents the ability to embrace failure through grit, resilience and determination, and the capacity to handle life’s hard knocks. These are the building blocks of great success—the hallmarks that define champions. I’ve often seen this characteristic in top rainmakers, many of whom have failed more than most others even try. Not only do lawyers in leadership positions have to bill client time, but they also invest hundreds of hours trying to lead others when given little to no power to influence their behavior. My heart goes out to you. Being a successful lawyer has two major components: One is based on a lawyer’s technical legal skills and the other is how people feel about working with him or her. While some lawyers are truly the smartest people in the room, without good social skills, emotional intelligence and a deep understanding of the needs of their clients and colleagues, their perceived arrogance can place serious limits on their careers. Anyone who’s been in any of my recent training programs knows this is my favorite business development quote from the musical (and I offer my sincerest apologies to anyone who has been subjected to my singing). This is all about face time—putting yourself in the position to have live, in-person interactions with people who have the power to hire or refer work. If you boil business development down to a single endpoint, this is it—get yourself in the room where it happens. Many firms need to develop better practices around succession planning. Transitioning clients can be difficult on all sides, so firms must build a consistent roadmap that shows how it should be done. I find this line highly insightful and inspiring. If you write about things everyone else is talking about, it’s hard to truly stand out. But if you think (and write) deeply about what’s happening around you, you can enter the realm of thought leadership. Look into the nooks and crannies of your practice, the companies and industries you serve; anticipate the future and start writing (and speaking) about things others have not yet discovered or discussed. Did your lawyers dial it in, or did they go for it? Did they take full advantage of their shots? If they could fast forward to the end of their careers and look back on today, how would they evaluate their current efforts? These are important questions to ask, especially because practicing law can often feel like a never-ending series of fire drills with little time given to strategically crafting one’s career. Hamilton is a powerful reminder that we possess free will and unlimited potential. How we think and act can make the difference in having a mediocre, good or great career as a rainmaker. Be passionate, rise up, take your shot and get into rooms where it happens. Attorney David H. Freeman is a PDC Trusted Advisor and law firm activist whose mission is to help firms build stronger cultures of leadership, business development and client service. For 24 years, he has worked with thousands of lawyers and leaders at hundreds of law firms worldwide, including more 40 percent of the Am Law 200. Founder of the Law Firm CultureShift, he is a best-selling author, speaker, consultant and coach. For three consecutive years, he was voted the best business development consultant and coach in nationwide legal industry surveys.